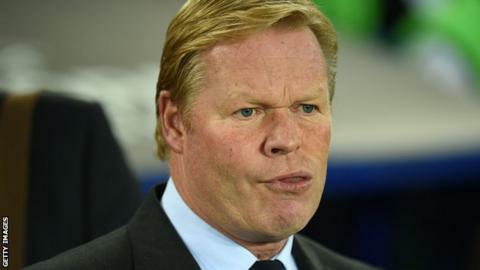 Ronald Koeman says he is "disappointed" at being sacked by Everton after 16 months at the club. Koeman was dismissed on Monday after Sunday's 5-2 home defeat by Arsenal left Everton in the Premier League relegation zone. In a statement, the Dutchman thanked the club's players and staff for "all of their work and commitment". "I would like to thank the fans for their passionate support of the club," the 54-year-old said in a statement. Koeman was sacked with Everton 18th in the table, with eight points from their nine league matches this season. "Naturally I am disappointed at this moment, but I wish the team good luck in the future," he added. Everton Under-23 manager David Unsworth will take temporary charge of the club following Koeman's departure.